Rugby Town’s Under 9s Tigers made the journey down the M1 to play in the prestigious Willen World Cup on Saturday. The lads arrived at 8:30am and with the last group game scheduled for 2:50pm knew they were in for a long day. First up was Willen Lions Red and the boys were electric moving the ball at speed goals coming from Mason, Hudson and Oli Winn. After the match their manager asked if they were an academy side, a big compliment for the lads. Next up Toddington and despite dominating play the lads couldn’t find a way to score. Onto Olney a strong side who Tigers have played a few times over the summer. Again the lads dominated but couldn’t score. Then came Willen Whites and Newport Pagnell and two 3-0 wins with the lads punishing any defensive errors. Goals came from Toby, Kaydon, Hudson and Mason. After the second match a Luton scout congratulated Kaydon and Toby on the quality of their strikes. Both left footers, both striking the ball cleanly in the corners giving the goalies no chance. Last up was Cleanslate FC and a hard fought 0-0 meant Tigers qualified for the quarter finals in second place in their group. James in goal had been steady, Toby, Oli H and Oli W strong in defence and Mason, Henry, Kaydon and Hudson terrosing teams in midfield and attack. In the quarters the lads faced Willen Jaguars who had great vocal support. Again the lads dominated but just couldn’t break through and it was onto the dreaded penalties. The lads are used to this now and Toby, Hudson, James and Mason all scored with no need to take the fifth. 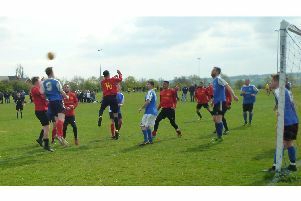 Into the semi against tournament favourites Walton MK FC Warriors who topped their group. Although having the better of a physical game Henry really solid in the middle the lads couldn’t find their shooting boots and it was penalties again. This time the lads went behind but with Toby, Mason, James and Kaydon all scoring and James making two wonder saves the lads were through to another final. Quite superb. Two minutes into the final against Shenley, Hudson delivered with a lovely finish in the bottom left corner. When finally the 12 minutes were up the Tigers had won their sixth tournament of the summer and can now always say they won the ‘World Cup’. A magnificent achievement for this group of boys who simply just love to play football.